Read it! Write it! Stamp it! 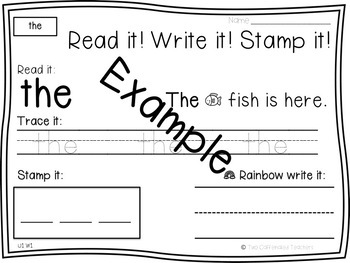 These sight word practice pages are the perfect tool for helping early readers develop confidence in their abilities. 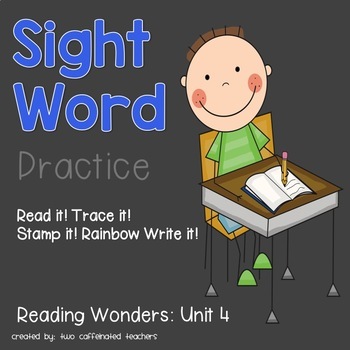 Sight word knowledge is critical for helping students become fluent readers. Use these pages as a whole class review, in a small group during guided reading, or even send them home as practice pages after teaching the words in class! 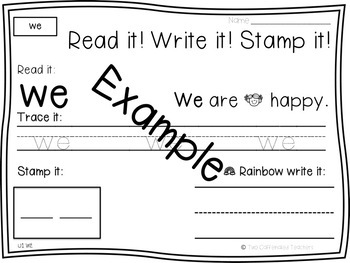 Students will read the sight word, write the sight word, stamp the sight word and rainbow write the sight word.